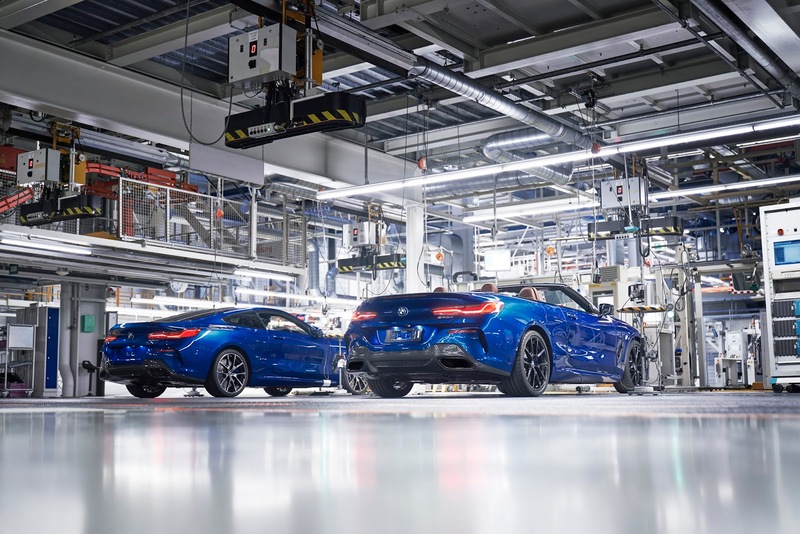 Four months after production of the BMW 8 Series Coupé stepped up in BMW's Dingolfing plant, The new and first BMW 8 Series Convertible has rolled off the production line to join the 8 Series family. 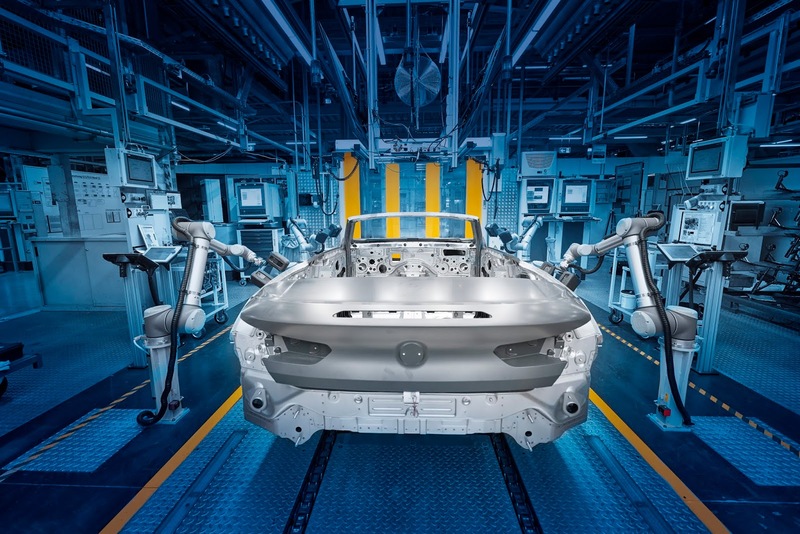 It'll be built alongside the BMW 5 Series and 7 Series variants on a single assembly line. 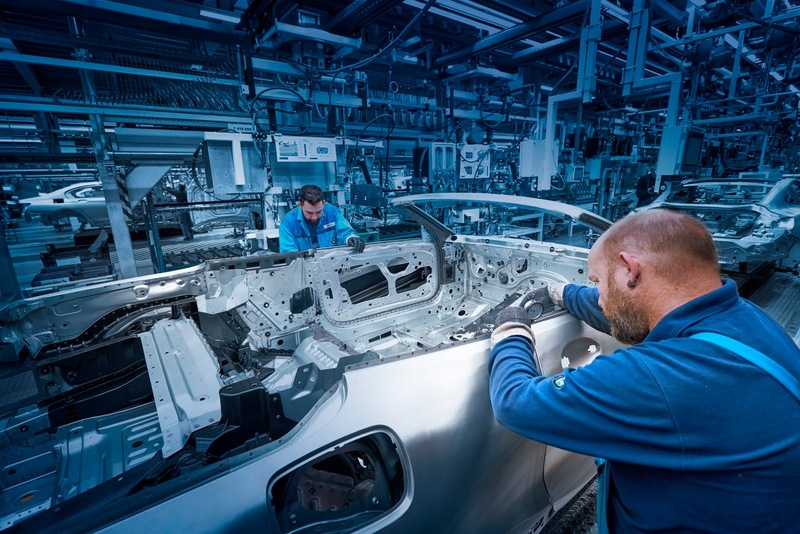 The new vehicle features a newly developed textile soft top that protects from elements and two model variants for the customer to pick from. 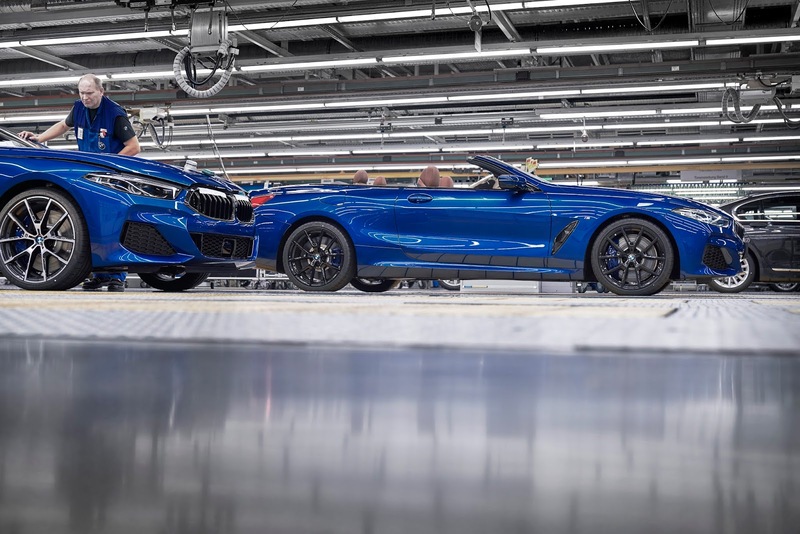 The BMW M850i xDrive Convertible and 840d xDrive Convertible. 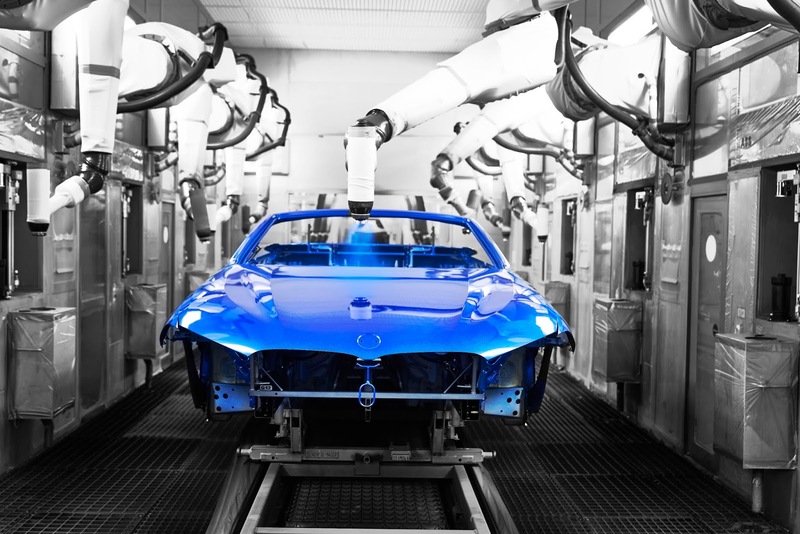 It comes with a black soft-top as standard that opens fully and automatically in 15 seconds. 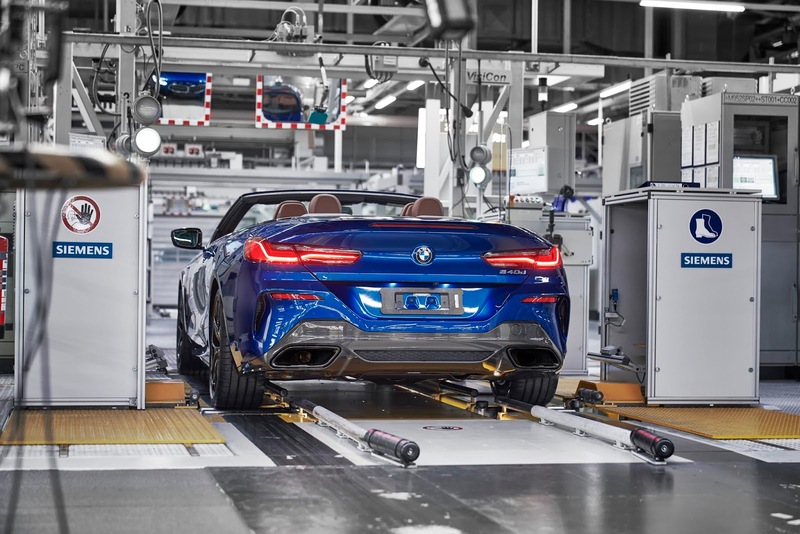 Other specs include Adaptive M suspension, Integral Active Steering and mixed-size tyres as standard, Driving Experience Control switch with ADAPTIVE mode, adaptive LED headlights and LED rear lights as standard, an M Sport package for the BMW 840d xDrive Convertible with specific design and equipment features and further customization options in form of an M Carbon exterior package with air intake slats, exterior mirror covers and exhaust tailpipe embellisher in CFRP, a Chrome Line Exterior and other BMW individualization features.